Francis & Edith Schaeffer story shows that big things can come from small places, and the amazing things that come from trusting God. Two young people, one faith and a shared passion for the truth of God's Word – that was the beginning of the story of Francis and Edith Schaeffer. Together, they wanted to follow wherever God would lead them and to share the Good News about Jesus with whoever God would send them. But little did they imagine that God would lead them to a remote village in the mountains of Switzerland. Nor did they foresee how God would use their ministry in that little mountain chalet to impact people all over the world. 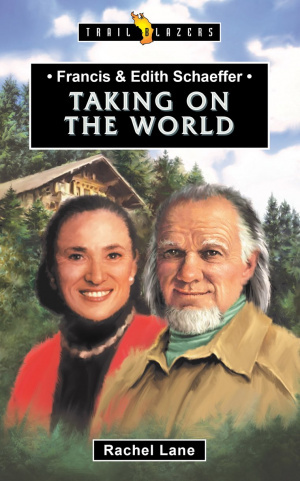 Francis and Edith Schaeffer opened their home to anyone searching for truth. They spent their whole lives helping people to see that the Bible's answers to life's questions are relevant and true; in their time, and for all time. Francis & Edith Schaeffer by Rachel Lane was published by CF4Kids in March 2019 and is our 41727th best seller. The ISBN for Francis & Edith Schaeffer is 9781527103009. Be the first to review Francis & Edith Schaeffer! Got a question? No problem! Just click here to ask us about Francis & Edith Schaeffer.